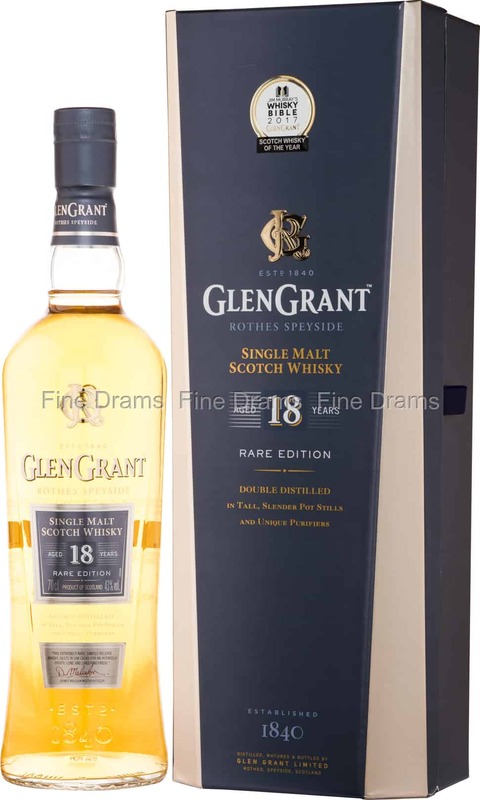 This version of Glen Grant’s 18 year old offering was first released in 2016 as part of a brand-wide revamp. A classic Speysider, Glen Grant is well known for performing well with greater maturity, and signs of this quality are on show with this well-aged dram. After 18 years in the cask, the whisky has developed flavours of lemon rind, soft spice, old oak, clear honey, malt, raisins, vanilla, slight flowers and caramelized orchard fruits. In 2019, whisky writer Jim Murray named this bottling the second best whisky in the world, in his famous Whisky Bible. Tasty and complex, this is a Speyside dram that hits the spot.